Looking for church history books? Biblio.co.nz hosts hundreds of of the finest online book stores and booksellers, including specialists in church history. Use the list below to locate a specific specialist bookseller or book store near you. Or, use the form below to search the inventory of all booksellers who specialize in church history. Christian Books Australia is largely an internet / mail order venture. Customers can view stock by appointment at our main location in Fitzroy Falls in the Southern Highlands or at our store in Sydney - Rockdale Christian Books (we are open 4 half days per week) Our aim is to promote the very best Christian literature with a determined bias towards reformed and conservative evangelical titles. We cater for the general reader as well as acting as a resource centre for hard to find and out of print Christian books. As well as a retail outlet in Sydney we have a large stock of over 100,000 titles - many uncatalogued. 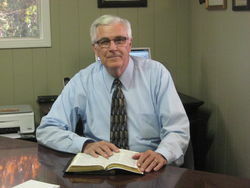 Since 1996 Crux Books Inc. has offered a friendly atmosphere to purchase both new and used theological books. Starting from a storage closet in the late nineties, Crux moved into its first manageable space in 1999 in the heart of the University of Toronto campus, directly adjacent to the Queens Park Circle, one block south of Bloor St. In mid-December 2017, Crux Books closed its physical store location but continues to operate on-line selling both new and used theological, philosophical, and other Christian literature. "De Lezenaar" is an antiquarian bookshop founded in 1997 and member of the International League of Antiquarian Booksellers (ILAB) since 2005. 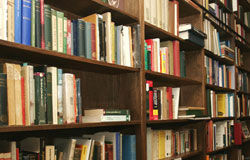 We are specialised in theology, church history, philosophy and other human sciences, with over 50000 titles in stock. Our shop is open by appointment only. Primarily an internet bookstore with a stock totalling about 4300 items, I and my assistant, Lukas, specialize in psychology (1880-1980), religion (1800-1950), & philosophy (1800-1950). However, we welcome to the house customers who contact us in advance. I came into a collection of books, which I have reduced to about 300 in number. I am not a professional seller, and will not be restocking. I am simply liquidating this library. The books are mostly religious. I don't know if there is a market for the items in this collection, but I figured there is no harm in asking.If you have any questions, feel free to e-mail me.Thank you.